Application: Fitness Center,Swimming Pool,School etc. 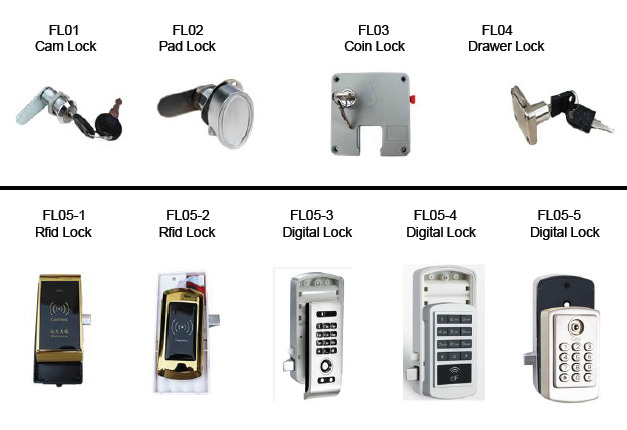 Fumeihua HPL Locker is made of HPL Compact Laminate with accessories and profiles with features onÂ Â water resistant, damp proof, heat resistant, fireproof, ventilated, no rust, no toxic. Our lockers are made of phenolic board(compact laminate)Â and hardware. StandardÂ Â size isÂ Â 300WÃ—1800HÃ—450D per column, usually 2-4 columns in aÂ group. Swimming Pool, Commercial Center, Office ,etc. 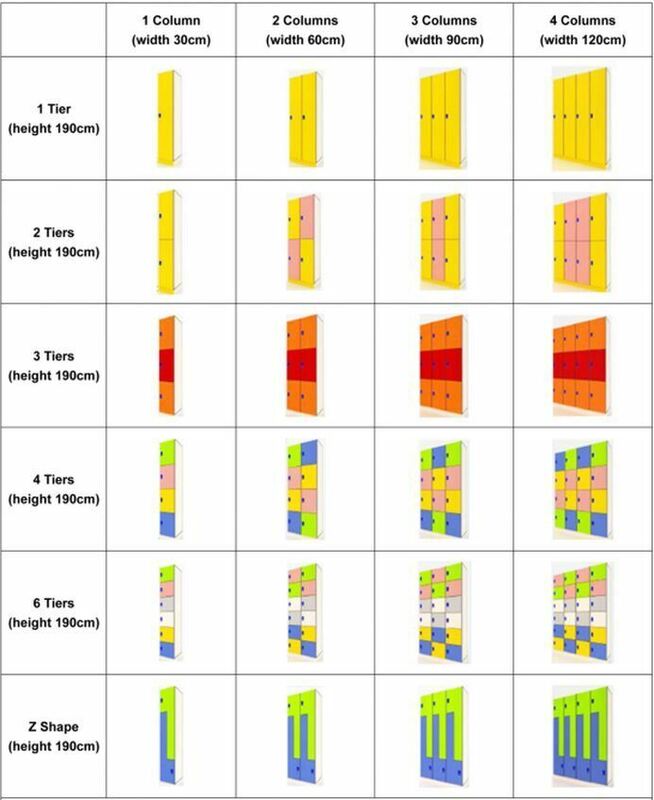 In order to meet different demand, bench size and shape can be customized. There are aÂ lot ofÂ Â available color options, and you can mix and match any locker configuration. 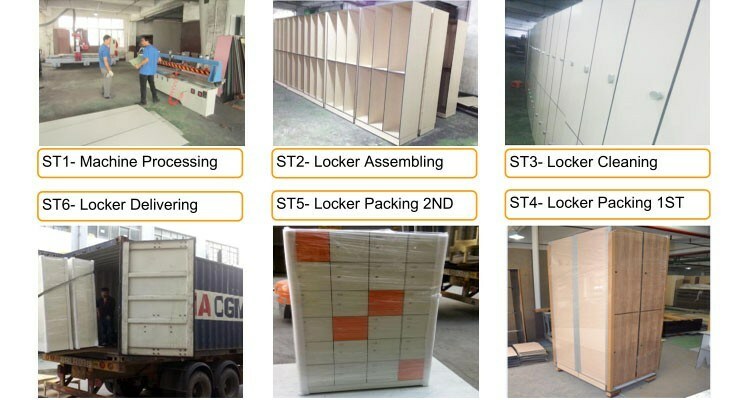 As standard, we will assemble the locker in our factory . If you need to deliver the disassemble locker, please inform us in advance. Standard packing by bubble paper and film with corner protector. If special package needed, please inform us in advance. Shenzhen Fumeihua Decorative Materials Co., Ltd. was established in 2009.We are professionally specialized in the manufacture of fireproof high pressure compact laminate boards, chemical boards and other related CNC products. Our company has successfully acquired ISO9001:2000 certificate. 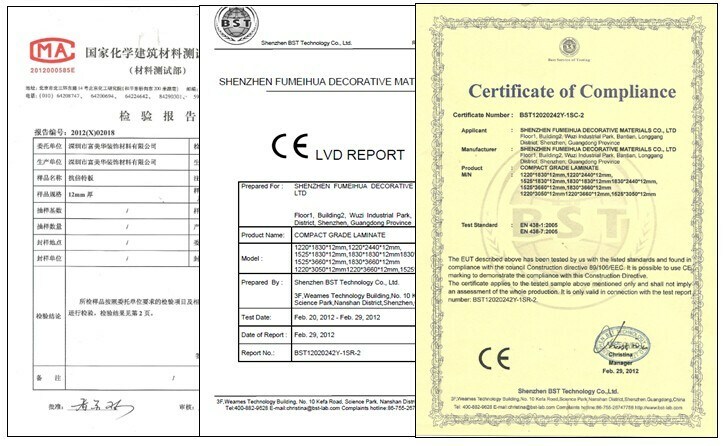 Our products have passed various domestic tests with certifications and are well received in domestic and overseas markets. We think what you think, we do more than you want. We try our best to match your need perfectly.Â Please be assured that if you choose us, We will achieve all your requirements.Â So contact us !